If you take a few moments to search through our listings, you’ll come across lots of different accommodation solutions in the Silverstone circuit area. Which you find most appealing will depend heavily on your budget and who’s coming along for the trip, so make sure you spend a considerable amount of time reading all the information available before making your reservation. 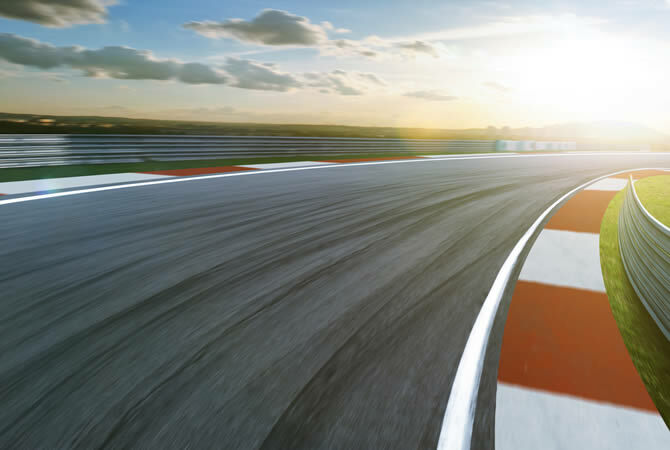 Whether you’re looking for cheap hotels or B&B near Silverstone race track, we guarantee you’ll come across something suitable in no time at all. You can obviously also take some time to read through reviews online if you so wish. One of the nearest properties is Silverstone Golf Club, located 0.5 mi from this world famous motor race track in England. Homeside Silverstone is a friendly and modern bed and breakfast that is located on the outskirts of Silverstone village. It is approximately a few yards from the A43 Silverstone circuit junction. It is a great place for people who wish to attend Moto GP, F1, Superbikes, classic cars, and touring cars. Handley Barn is a bed & breakfast hotel that resides in 300 acres of farmland. Although it is set in a rural area, it has the added benefit of being 2 miles away from Silverstone and Towcester. You can also access Brackley, Buckingham, Milton Keynes, and Northampton with ease. The Lower Cottage B&B is located in Pury End village, 3 miles from Towcester. The facility is 10 minutes drive away from Silverstone circuit. If you want to get to London from the Lower Cottage, you will travel 64 miles. To get to the nearest airport which is Luton Airport, you will travel 46 miles. The Highbridge House B&B is a family boutique property that has rooms with views of the classic English countryside. Wappenham is a beautiful village that is located at the center of Northamptonshire. You can easily access lots of restaurants and pubs in Wappenham. The Cowshed B&B has a unique style, thanks to furniture sourcing and home decorations that the owners have been doing for years. The facility is located in the quiet village of Wappenham. The Kendal House is a large family home that used to be a coaching Inn. The 18th Century facility has been updated and restored over the years. The home is located at the heart of Blakesley where the Silverstone racetrack is approximately 6 miles away. The Best Western Buckingham Hotel offers comfort and convenience. The budget friendly hotel lies close to the Buckingham town center, and it rests on the A421 Buckingham ring road. It is located close to the Silverstone motor racing circuit. This is a pet-friendly hotel that is known for its warm environment. The Crown Hotel is a 20 bedded three-star accommodation hotel that is located at the center of Brackley in Northamptonshire. As a guest, you have easy access to the M40 motorway and get to areas such as Buckingham, Banbury, Northampton, and Oxford in just a few minutes. Its an ideal location for people who are on business and leisure. The Old George Hotel is a facility that is located at the heart of the Stony Stratford in Milton Keynes. It is a beautiful historic pub that is known for its fantastic food and its friendly environment. It is a family owned hotel that serves traditional real ales and food. It is an old 16th-century facility that has a history of hosting some royal visitors. In the beautiful countryside of Buckinghamshire, the budget Shoulder of Mutton offers a friendly environment with a fine cheap selection of beers, real ales, and home-cooked meals. The Shoulder of Mutton is a grade 2 listed facility that was running in 1790. The Holiday Inn Express Northampton is conveniently located off junction 15 and 40 minutes drive from Luton airport. Northampton town center is 4 miles away, and you can also get to Silverstone races and Santa Pod Raceway track in 20 minutes. The Campanile is a budget hotel that is located at junction 15 off the M1 motorway. It is located at a prime location as it provides easy access to several business centers and Silverstone race track for The British Grand Prix. 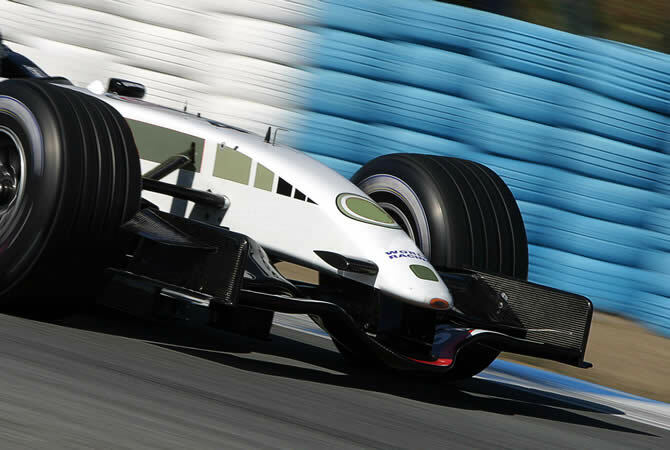 There are lots of different hotels and accommodation solutions within the Silverstone circuit area. The location that will be most appealing to you will depend on the budget you have and who you are traveling with to watch the races. So, it is essential to spend time reading all the information about the selected hotels before making a reservation. If you are looking for a cheap B&B and hotel close to Silverstone race track, we are sure that you will pick a good location from the list we have created above and below that fits your requirements. Silverstone hosts a full calendar of events. It’s home to one of the most prestigious events in the motorsport calendar ; the FIA Formula One British Grand Prix and important races such as the FIM Superbike World Championship and MotoGP. The circuit is located on the A43 in Northamptonshire and Buckinghamshire. It’s is easy to get to by road from both the M40 and M1. The track is also renowned for its driving experiences and corporate entertainment. Silverstone is built on the site of a World War II Royal Air Force bomber station, RAF Silverstone, which opened in 1943. Several cheaper hotels and b&b’s are well-placed, within easy reach of the race circuit. There is also a wide choice of places to stay in nearby Milton Kenyes and Northampton. Silverstone race track has been hosting the British Grand Prix since 1948, which probably explains why the destination has become so famous all over the world. Nestled between the villages of Silverstone and Whittlebury, the course itself bridges the border between Nottinghamshire and Buckinghamshire, so you’re pretty safe to assume the surrounding areas are beautifully kept and incredibly appealing to tourists. While these counties might not be the absolute richest in the UK, they’re definitely up there amongst the top five, and that’s why so many rich and influential people call them home. So, if you’re looking for a trip that will show you exactly why England is known for being an attractive and interesting place, there’s no better location to start your journey. We do pride ourselves on promoting only the most reputable establishments, so you can trust our recommendations. What can you do in or near Silverstone Racing Track ? While you would do well to plan your trip around Grand Prix dates, there’s lots of other racing held in Silverstone on a regular basis. So, regardless of when you arrive, you’ll still get to visit the track and watch some cool events. Outside of the racecourse, you’ll find something for everyone. We recommend you take some time to visit The Porsche Experience Centre, The Day Spa At Whittlebury Hall, Whittlebury Golf Course, The Catanger Llamas, Stowe Landscape Gardens, Towcester Museum and The Old Gaol Museum. What’s the nightlife like ? Silverstone doesn’t exactly have a thriving nightlife when it comes to clubs, but there are plenty of bars and restaurants to keep you occupied during your stay. Club Rouge is one of the most popular at the moment, but Boru, Atmosphere, Molly’s Bar and Club base are all worthy of your attention. Just be wary that none of these places accommodate children after 9pm, and so you’ll need to find something for them to do while you’re enjoying yourselves. Restaurants worth visiting include The White Horse, The Fox and Hounds, The Vine House and The Barley Mow. All provide excellent cuisine to suit every taste. So, if you have a formula one racing enthusiast in the family, or even if you’re just looking for somewhere new and exciting to spend a long weekend, Silverstone could be the solution to all your problems. The location is picturesque, the people are friendly, and you’re certain to get the relaxing experience you desire. Location, Where is Silverstone Circuit ? With good access to the A43 and M40 and M1 Motorways, the racecourse is within 90 minutes’ drive of central London and 1 hours’ drive of Birmingham. Milton Keynes, with its fantastic The Centre:MK shopping and leisure complex, is 16 miles away or just a 10-minute drive. Oxford can be reached in just under an hour by car. The closest main train stations are Northampton, Banbury and Milton Keynes railway station. From these you can get a taxi direct, or a bus from the train station to Silverstone. Also within easy reach is Bicester North railway station. Bus and coach services are available from London. You need to be book in advance. For the British Grand Prix weekend, coach tours are available to Silverstone. Coaches leav from numerous places around the country. Silverstone Circuit is located on the A43 between Towcester and Brackley and is signposted from M1 junction 15A & M40 junction 10. Road access is exceptionally easy along the A43 dual carriageway from either the M40 or M1. Nearest Main Road from Races ? Closest main road is the A43. From M1 leave at junction 15A and take the A43 south, following signposts to Silverstone. From M40 leave at junction 10 and take the A43 north, following signposts to Silverstone. The nearest major international airports are London Heathrow, Luton (see cheap hotels), Birmingham BHX and Gatwick LGW. Oxford airport is closer, but a lot smaller. Central London is 90 minutes away. Located in Northamptonshire (part) and Buckinghamshire (part). The circuit lies approximately 90 minutes north of London and 60 minutes south of central Birmingham. Nearest Hotels : in Silverstone, Whittlebury, Syresham, Towcester, Buckingham, Milton Keynes, Northampton and Stony Stratford. Silverstone Autosport & Rally School : enjoy a real rally experience on Silverstone race track. Learn how to drive the circuit, braking, turning, clipping points and acceleration. read more. Catanger Llamas : walk around the beautiful farm and woodland, and get to know all about the llamas. Bletchley Park : site of the United Kingdom’s main decryption establishment, the Government Code and Cypher School (GC&CS) during the Second World War. Milton Keynes Museum : lovely museum set in and old mansion. Stowe Landscape Gardens : great place for a walk. Gardens are managed by the National Trust and are an excellent example of eighteenth century English Landscape Garden design. World famous British motor racing track, located within easy reach of both Northampton and Milton Keynes. Major Events : major events held at the circuit include: FIA Formula One (British Grand Prix), FIM MotoGP (British Grand Prix), FIA World Endurance Championship 6 Hours of Silverstone. FIM Superbike World Championship, European Le Mans Series, European Formula Two Championship, FIA International Formula 3000, British Touring Car Championship, British F3 International Series, British GT, British Superbike Championship, and the Silverstone Classic.